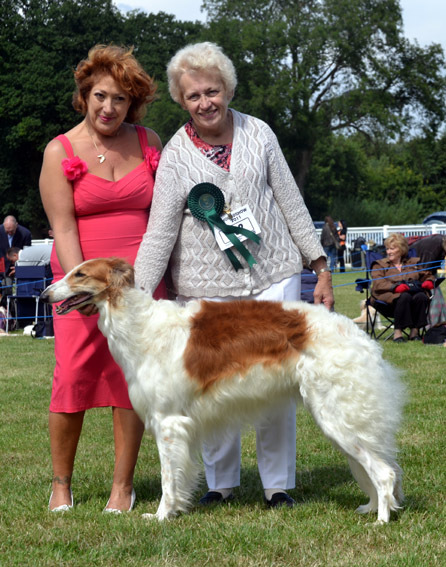 and Joint Top Borzoi in the Dog World/Arden Grange competition. CH. RYAZAN NATASHA took another CC at LKA under Christine Spencer. RYAZAN DANTE also won his class. under Russian judge Marina Orlova and went on to reserve Best Puppy in Show under Phil Freer. CH. 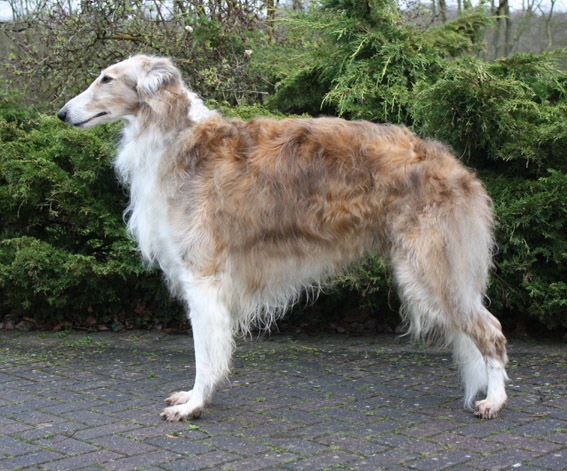 RYAZAN NATASHA took the Borzoi of the Year title after being runner-up last year. RYAZAN ANTON won Puppy of the Year. The judges were Anne Thornewell, Jill Chapman and Marion Spavin. At South Wales Ch. show RYAZAN ANTON won his second Best Puppy in breed award. 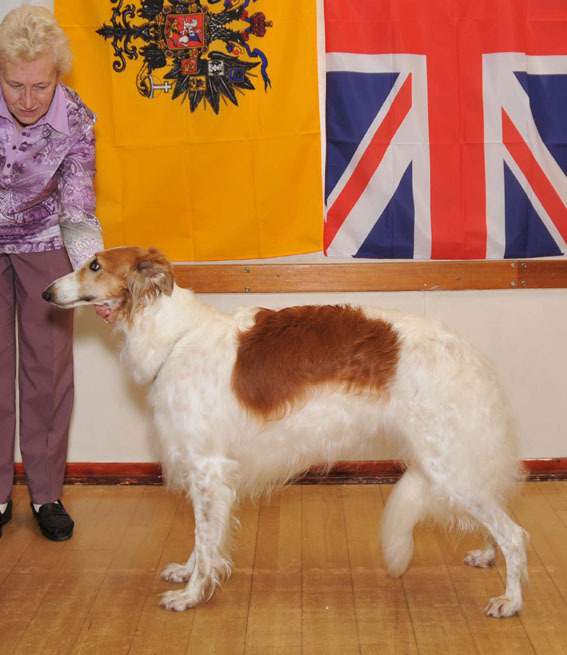 RYAZAN ANTON took Best Puppy in Show at the Borzoi Club Ch. show, judges Roger Heap and Espen Engh. He was the youngest of the 11 puppies present. CH. RYAZAN NATASHA won the Reed Memorial Stakes. At Richmond CH. RYAZAN NATASHA won her ninth CC under Maggie Holder. CH. RYAZAN NATASHA won another CC & BOB at Birmingham City under Di Martin. 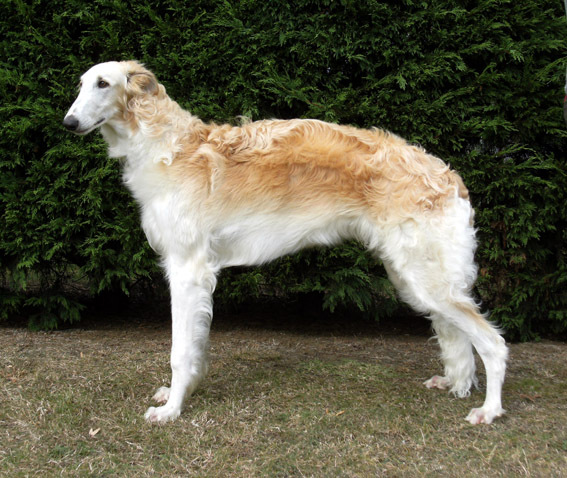 There were 34 Borzois present. At the prestigious Houndshow CH. RYAZAN NATASHA took the CC & BOB. 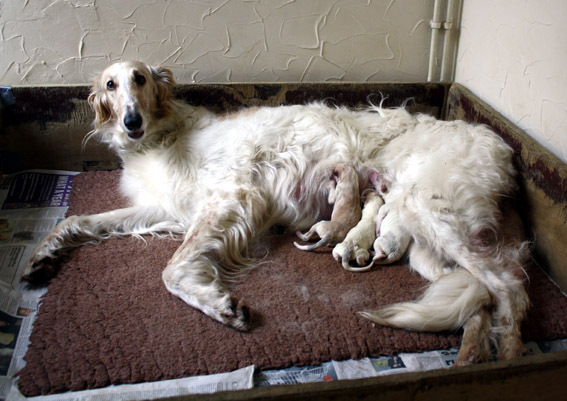 The judge was Julie Stevens-Smith and there were 48 Borzois present. followed by her eighth from Mark Cocozza at Paignton. and won through to the second round. 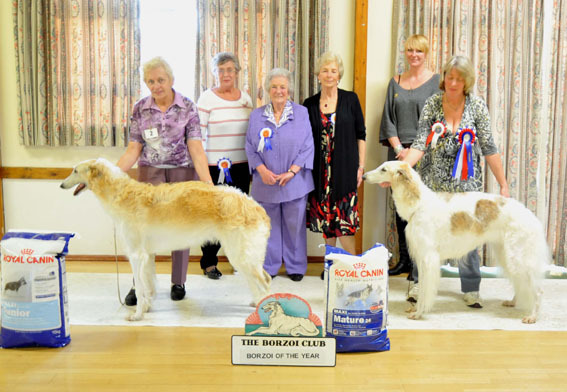 and reserve BOS and Best Veteran at the Borzoi Club Open show under Lorraine Harvey. and Best Veteran under Alma Oakley (Jamarqui). This was his first show for 18 months. CH. 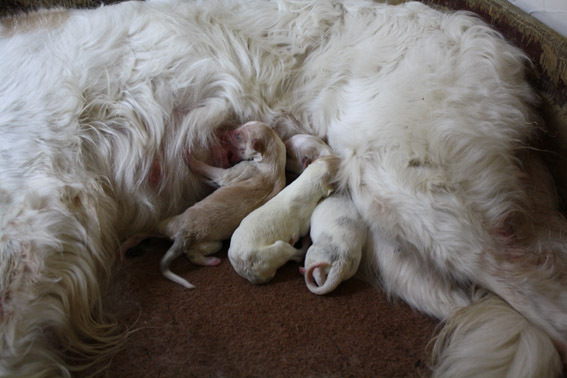 RYAZAN HEATHER gave birth to three dog puppies today. to ROTHESBY SHOLWOOD SNOW HAWK. We counted 3 puppies on the scan. The litter is due on February 7th.